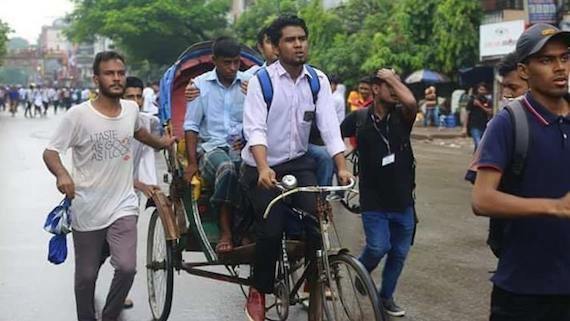 Bangladesh student spirit marched ahead of the mainstream politics as streams of school students overflowed Dhaka roads recently – beginning from the last day of July. The unprecedented heroic move is historic and significant as it turned out flowers were blooming in the urban monsoon setting. Then, usual in a society super-charged with factional conflicts within dominating classes and with imperialist role, the mainstream politicking cast its shadow – capitalizing the protest, assaults, clashes, conspiracy and claims of conspiracy. Blood dropped. Accidents and anarchic condition are a regular phenomenon, which charge its fees mostly from the common people – the poor, the middle class. 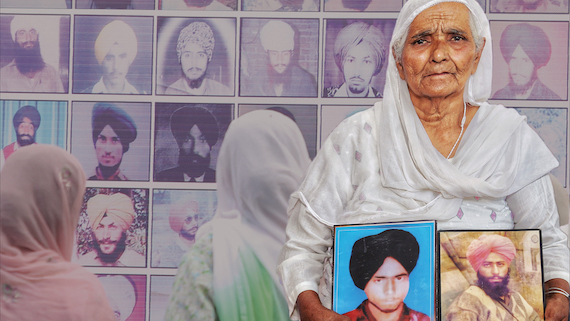 The story is years old, known to all, but ignored and neglected. It’s a description undeveloped arrangements experience: lives made lifeless or crippled, families finding earning members lost, students forwent forever, dreams dashed. The story is of greed: A bus driver, for example, is paid Bangladesh currency Taakaa “T” for three trips. The driver is paid an extra amount of Taakaa “T+E” if he makes more than three trips. The T+E creates reckless speed; and the reckless speed – more trips – brings extra money to the owner, and creates insecure roads with possibilities of fatalities. Lucrative corruption money that flows through formal/institutional and informal set ups and arrangements makes pockets heavy while inefficiency is allowed to drive on happily that reaches the level of “life doesn’t matter”. This is a story of mismanagement at many levels: traffic or traffic system, person-power, enforcement and supervision, training and training facilities, unions and types of control over and relations with unions, accountability and transparency, commoners’ and concerned capital’s spaces – the commoners have nothing other than paying while the capital wins arbitrarily, and the winner takes all. The expected equilibrium on roads lost long ago: heavy increase of population and traffic on roads below required number/kilometerage, disregard to commoners while corruption concentrates. The consequence of this hopeless reality made dire impact: each and every day hundreds of thousands of commoners suffer immeasurably, anguish and discontent gather, and deaths visit that make accidents appear systematic killing of commoners. The rich always live at unbridgeable distance from this reality. With this backdrop, deaths of two students in the capital city of Dhaka on July 29 sparked the pent-up discontent – a huge force. A minister’s inappropriate expression of reaction to the incident of death added fuel to the fire. The students responded with their natural consideration, an instinct – love for life, and protest inconsideration and disregard. The students of schools and colleges, hundreds and hundreds in number, stood on city streets. They stood at different parts of the city – from the eastern fringe to the west, from the northern end to the south, at major crossings. The city public-transport system in the private sector came to a standstill. It went for days, from morning to early-evening. The aggrieved students were not unruly, not rowdy, not breaking shop-windows, not looting, not humiliating passers-by, not hurting anyone, not howling, not behaving in anarchic way, not inconsiderate, not creating confusion for street-users. They silently stood with their hand-made placards inscribed with beautiful, mind-turning slogans that reflected their creative brains. They stood as the sun blazed over them and the rain soaked them. And, they politely delivered duties smoothening traffic movement, duties of traffic police. They humbly instructed vehicles, kept a part of road open for emergency service vehicles including ambulances, and for passengers going to airport, checked vehicle- and driver-documents, handed over the vehicles without proper documents to police, streamlined movement of different types of vehicles, etc. The students checked vehicle related documents of ministers, senior officials, members of law and order enforcement agencies, journalists, and many others while they were passing through the students’ pickets. The students modestly persuaded the vehicle users to follow traffic rules, to have proper documents while driving. No untoward incident or high-pitched sound was created by the protesting students. Everyone coming across the students appreciated them, happily accepted their guidance and supervision, referred to them as example in a time of decay. Batches of police personnel were standing adjacent to the students’ pickets. But there was no atmosphere of hostility. The students were not behaving aggressively to the police-persons or the police was hostile to the students. At places, the protesting students offered flowers to the police. All citizens overwhelmingly expressed support to and solidarity with the students. Many citizens’ comments were: the school students have succeeded where we have failed, they have showed us the path, we are hopeful with the generation termed net-gen. Many parents joined the protesting students. Parents and citizens voluntarily delivered food and water to the students. The entire scene was calm, peaceful and friendly. Everyone loved the students in the age group of 11-18 years. Many cities, towns, and localities across the country experienced similar practices. The students raised a 9-point demand, which included compensation to the victim families, legal procedure against persons committing accidents, making city-streets secure for all. The High Court, a part of the state, within a short time formed a committee to look into the issue. Senior ministers conceded: All the demands are rational and justified. The government began taking measures to implement the demands. Assurance was made for quick implementation of the demands. But, credibility-gap was persistent, which grew up over a long time, and difficult to bridge. Within a short time, politicking began. The mainstream political parties began throwing allegations to each other – a part of politics. There were allegations of repression, ploy, infiltration by elements, etc. 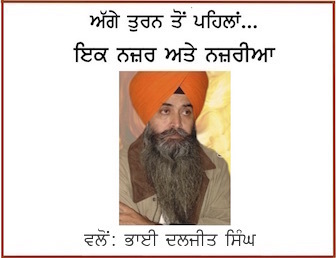 The politicking continued in the background of coming national election. Acts of provocation followed. Clashes ensued. 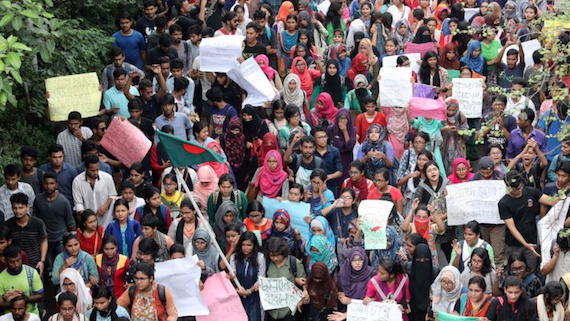 Injuries of students spread – the number, reported in Bangladesh media, passed a hundred. Journalists were brutally assaulted. A few of the injuries and assaults were serious. Rumors and facts mingled. A few of the rumors got exposed. The incidents, the number, the actors are well-mentioned in media, domestic and international, with wide coverage. A careful reading of the media provides a lot of information and takes away rumors, frees one from mongering. Public transport in the private sector within the city of Dhaka, and across the country stopped plying – a serious development for the economy, and a show of power-equation. It was a virtual strike by the transport owners, who claimed lack of secure condition for operating their buses. Virtually, the people in the broader society and the private capital in the transport sector stood face-to-face. Development put the related labor opposite to the student community and greater part of the society. To some, the labor appeared the villain – also a show power-equation: who powers, who falls victim, who has voice, who is voiceless. The school students’ move got entangled into wider national politics. Leaders of the two major political parties had to talk about the issue. M I Selim, leader of the Communist Party of Bangladesh, the biggest communist party among at least a dozen small and tiny organizations claiming to be communist party, said in a gathering in Dhaka: The nine point demands of the school-college students would be made a single point demand if the demands were not fulfilled. With the “one point”, probably, Mr. Selim meant movement for downfall or change of government. Thus, the school-college level students’ move turned stepping place for a section in politics at national level, and exposed the level of a part of left leadership, which follows school-college level students engaged with a particular problem, neither the entire national politics nor questions related to class. An interesting show of the time the society is passing through! There were other political moves with distant aims. Safe road is a country-wide demand with wider support from the people. The people demand discipline instead of anarchy. On a country-wide problem, the school-college level students took effective initiative before all, reflection of a failure at national level. The students’ initiative made parts of the state to be responsive within a short time, precedence of which is rare. Is it the power of the problem or the power of participation? The move, spontaneous in nature, engulfed almost all – the people, politics and parts of the economy. The spark-like move shows extent of discontent spread across the society. The move opened many wounds within and limits of the mainstream politics. The move sidelined basic questions related to the working people – the most important part of the economy, which reflect level of organization, politics, leadership and initiative of the working people. The move, on the one hand, raised a number of important aspects of the state of politics including democracy while, on the other hand, missed many aspects. The missing of the aspects is normal for the move as the move had no such duty – raise everything. The move showed limits of spontaneity. The move widened path of further involvement of many quarters with respective interests. The move brought forth the state of student activism – formal and informal. A group suddenly surges forward with a national issue while another group claiming to be all time-activism finds itself dumb. The move showed the question of imperialism – its role and intervention – is missed by a part of the progressives as was happily missed by similar parts in Iraq, Libya and Syria while the societies made heavy payments. Actually, a part of the part invited imperialism in those countries. The part is missing the wider perspective – contradiction between democracy and imperialism. The part is not discussing tactics imperialism employs. Not a single example could be found, which tells that intricate imperialist tactics and actors employed in Venezuela and Nicaragua was ever discussed with the purpose of learning from those cases. History waits for the part to enthrone them on the seat of betraying-the-peoples’ cause, waits to enshrine them with imperialist flag camouflaged with a different color as they deny looking at nothing other than white or black. It’s illogical and unjust to expect that the school-college level students will do everything on behalf of others, will perform without error, will cross all limitations, will deliver a faultless product. Rather, with all limitations, the students have played a role unprecedented in Bangladesh history. They have delivered important messages to all concerned – from politicians to persons interested with study of Bangladesh. They have transgressed their capacity, which has never been discussed by anyone till now – a law of development within society. They tried their best to keep image of the student community untarnished while there was opposite play by some other quarters. They tried their best to stand for life and common people while the part claiming to be accountable to people went for cheap mongering, found rays of resistance within simple and sporadic oppositions – a novice middle class practice. It’s a heroic standing by young student and incapability of some others. A close look into the imperialist media will find deeper messages. Thus, the students from schools and colleges wrote a chapter in the history of political development in Bangladesh. * Farooque Chowdhury writes from Dhaka.